be warned the contest is only for the smart. instruction using the above digits and fruits inforgraph to solve the problem and put your answers in the comment box below. 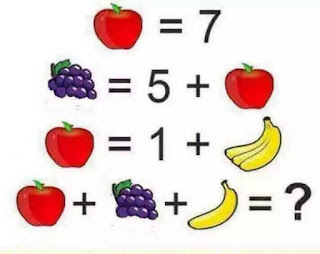 i will be waiting the answer the person with right answer will be published on sunday. drop your comment in the comments box to a chance of winning cash price.